University of Notre Dame seniors Christa Grace Watkins and Alexis Doyle have been selected to the United States Rhodes Scholar Class of 2017. Watkins, a native of Blacksburg, Virginia, and Doyle, of Los Altos, California, are two of 32 Rhodes Scholars selected from a pool of 882 candidates who had been endorsed by their colleges and universities. They are Notre Dame’s 18th and 19th Rhodes Scholars and will commence their studies at Oxford University in October. This marks the first time Notre Dame has had Rhodes Scholars in three consecutive years and the third time the University has had two in a single year. It also is the first time that Notre Dame has had two women chosen in the same year. Watkins, a philosophy major with a minor in philosophy, politics and economics, also was selected as a 2016 Truman Scholar. Doyle is a biological sciences and international peace studies major and is a participant in the Hesburgh Program in Public Service, the Glynn Family Honors Program and the Hesburgh-Yusko Scholars Program. “I want to congratulate first of all Grace and Alexis, but also the faculty here at Notre Dame who taught them and the staff of the Flatley Center for Undergraduate Scholarly Engagement who put in countless hours assisting Grace, Alexis and our other candidates for the Rhodes and other scholars’ programs,” Father Jenkins said. A Kellogg International Scholar and a Flatley Center for Undergraduate Scholarly Engagement (CUSE) Sorin Scholar, Watkins hopes to enroll in a joint J.D./Ph.D. program and to specialize in public interest law. She has already made a measurable impact through her activism at Notre Dame, successfully campaigning for numerous policy revisions related to Title IX and mental and physical illness. 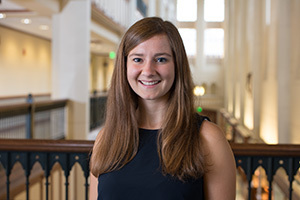 As a first-year student, she won Notre Dame’s “First Year Urban Challenge” for her policy proposal for the student-run microloan program Jubilee Initiative for Financial Inclusion (JIFFI) to increase resources available for women with disabilities. She is now chief operating officer and head of the legal department for the organization whose goal is to reduce the prevalence of predatory payday lending in the South Bend community. Watkins completed internships in summer 2014 and 2015 with the Children’s Advocacy Institute, which seeks to improve the child protection and foster care systems. On campus, she is senior policy adviser to Student Government and sits on the Student Health Insurance Advisory Committee. She also served as a research assistant to Jaimie Bleck, an assistant professor of political science. She is a member of the Sorin Scholars Steering Committee and the Committee on Sexual Assault Prevention, and is co-president of College Democrats of Notre Dame. Watkins is the director of communications for Education Bridge and was recently appointed national organizing director for Rise. She plans on pursuing a doctor in philosophy degree in socio-legal studies at Oxford. She hopes a graduate degree in law and philosophy will position her as a credible force for change and allow her to further study the “unexplored intersections” between philosophical topics such as forgiveness and moral agency and Title IX reform. Doyle is passionate about the intersection of social justice, health, and well-being. She volunteers in the South Bend community at the Sister Maura Brannick Health Clinic. She also tutors elementary students. On campus, Doyle is a research assistant for a project designing low and no-cost interventions that promote better food choices in school cafeteria environments through the Architecture, Health, and Sustainability Research Group. 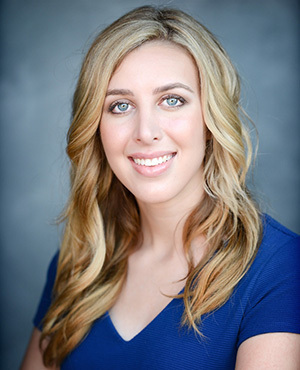 She is a resident assistant in Ryan Hall and a teaching assistant for honors mathematics and served as co-president of the Compassionate Care in Medicine Club. Doyle traveled to Quetzaltenango, Guatemala, in 2015 for a summer service project, where she volunteered for the Primeros Pasos medical clinic, which provides residents of the rural Palajunoj Valley access to medical care. She returned to Guatemala the next summer and established a social enterprise model centered on soap making for the Palajunoj Valley. By partnering with the mothers of infected and, consequently, malnourished children, the project also has the potential to be a source of income for the unemployed women. Doyle spent the fall 2015 semester studying abroad in Puebla, Mexico, where she had an internship in a local public hospital. Following her Oxford studies, Doyle will attend the Icahn School of Medicine at Mount Sinai, where she was accepted during her sophomore year at Notre Dame. Watkins and Doyle advanced through a rigorous multistep selection process for Rhodes Scholarship applicants. This year, approximately 2,500 students sought their institution’s endorsement and 882 were endorsed by 311 colleges and universities. Committees in each of 16 U.S. districts then invite the strongest applicants to appear before them for an interview. Applicants are chosen on the bases of the criteria set down in the will of Cecil Rhodes. Rhodes Scholarships have been award annually since 1902 and provide all expenses for two or three years of study at the University of Oxford in England, and may allow funding in some instances for four years. Current Notre Dame senior Corey Robinson, as well as Anna Kottkamp, a member of the Notre Dame class of 2015, and Jake Grefenstette and McKenzie Hightower, members of the Notre Dame class of 2016, were also finalists for a Rhodes Scholarship this year. All the Rhodes finalists worked closely through the application process with Notre Dame’s Flatley Center for Undergraduate Scholarly Engagement, which assists students and alumni with fellowships applications. Current Notre Dame undergraduates and recent alumni who are interested in applying for the Rhodes Scholarship can contact the center at http://cuse.nd.edu. Originally published by William G. Gilroy at news.nd.edu on November 20, 2016.